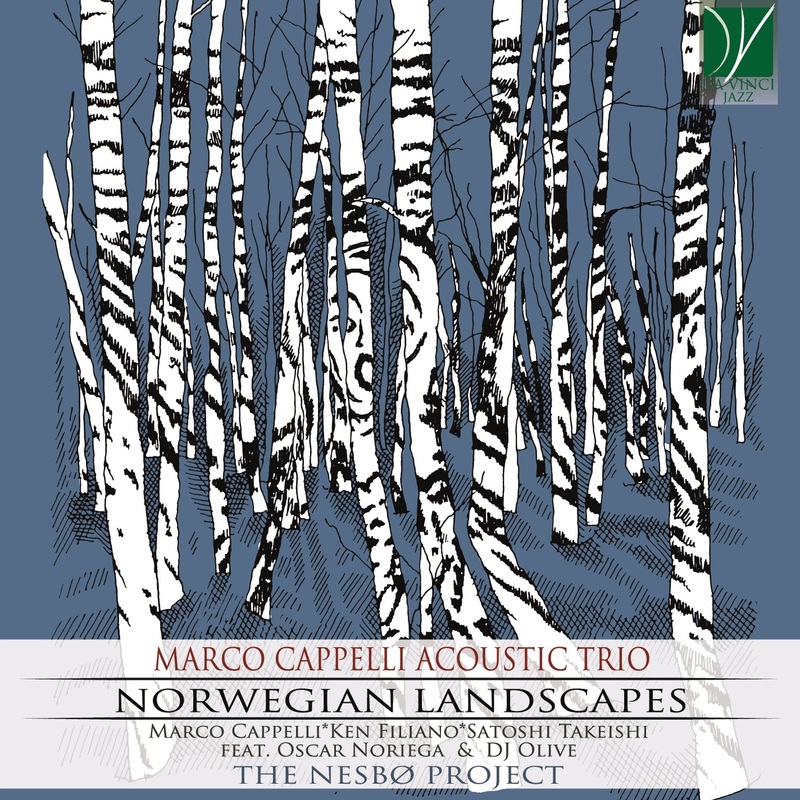 NORWEGIAN LANDSCAPES completes the MARCO CAPPELLI ACOUSTIC TRIO triptych inspired by European contemporary noir literature, following the first two CDs dedicated respectively to Fred Vargas (Les Nuages en France – Mode Record 2011) and Maurizio De Giovanni (Le Stagioni del Commissario Ricciardi – Tzadik 2013). This time the Trio features two guests: clarinets wizard Oscar Noriega and the turntables virtuoso DJ Olive, giving life to a band called THE NESBØ PROJECT. NORWEGIAN LANDSCAPES presents 7 compositions named after the characters of Jo Nesbø’s crime novels, alternated with 6 improvised interludes called Norwegian Landscapes. Its intent is to paint with sound Jo Nesbo’s powerful, visionary, and poetic imagination, with its galaxy of characters full of humanity.